Now if I am going to recommend anything for family travelers it would be bring your child’s friend with you. We are lucky as our daughter’s friend is easy going and is happy to go along with the torture that a family trip in a hot country can bring. Our first full day, out which was yesterday, Sean, and I broke some of our own cardinal rules: First mistake was to set out for the day at 1:30 pm (Everyone knows not to do that in a hot country); 2nd -walking up hill at the hottest time of the day with teenagers is not advisable (there is not enough gelato to comfort them). So we are forgetting yesterday and moving on. 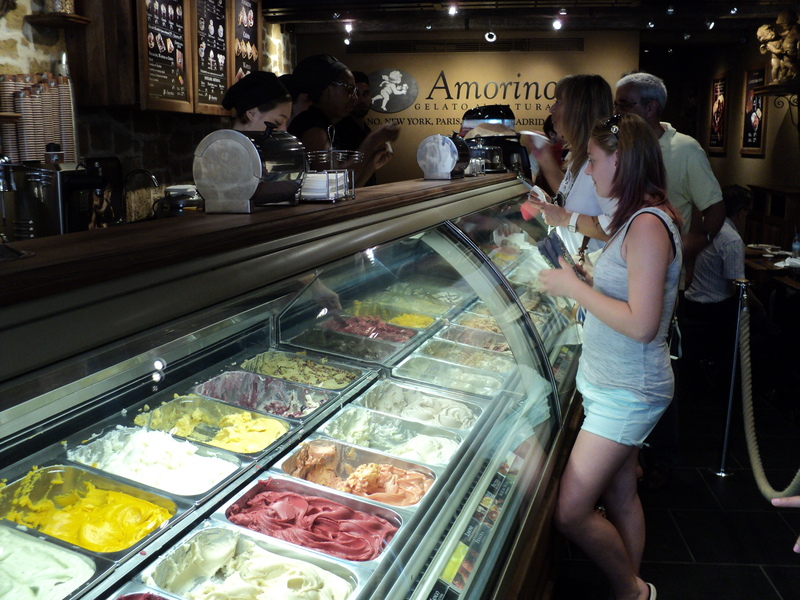 Today we set off at a decent hour in the morning, bought a day pass for transit and promised them gelato whenever possible. They managed to go steady for 10 hours, truly a record for us. We checked a lot off our to do list today. 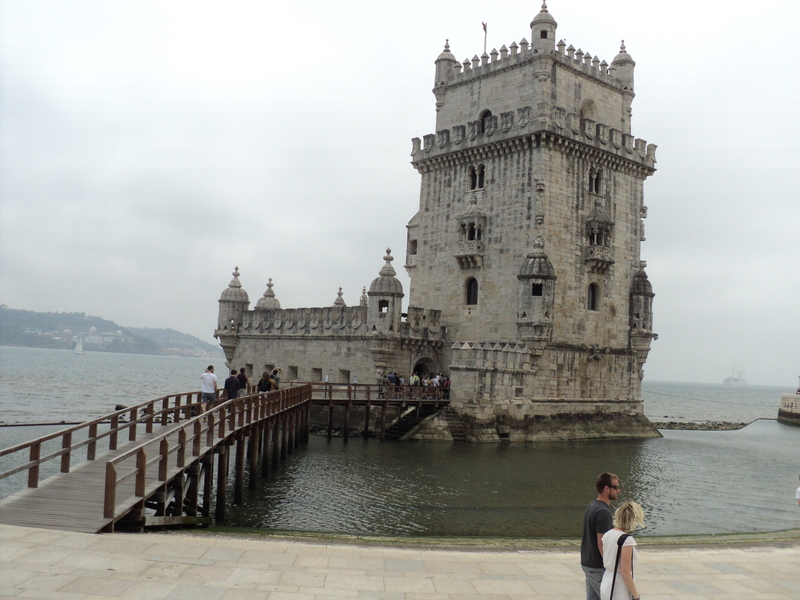 We headed to Belem, this is far away from the centre of Lisbon and requires a few changes on the metro and trams. Best part? No walking! 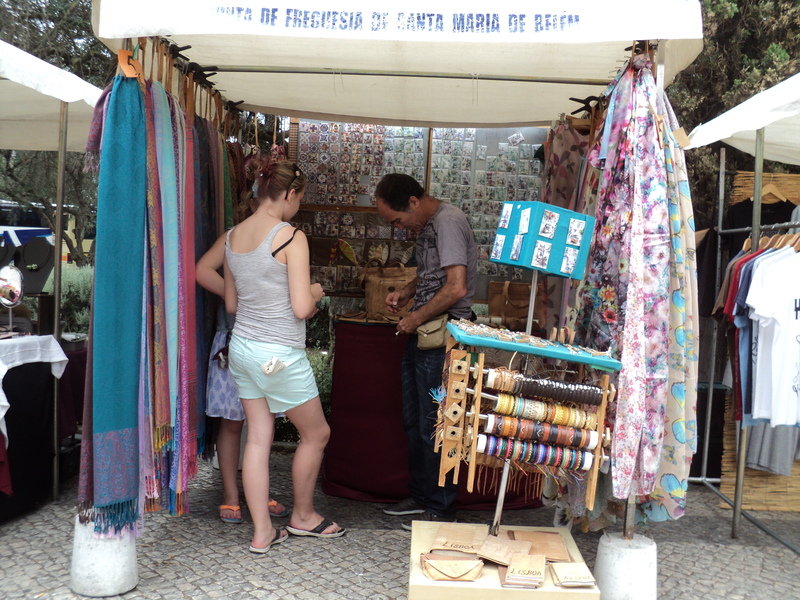 I did have plans to buy a few pasteis de Belem, but the line up was pretty big. I do know that this is the original spot for them, but we had tried them in a few spots already, including Amsterdam. So we opted to not line up and just visit the sites we came to see, the Torre of Belem, Monument to the Discoveries and mosteiro dos jerónimos. 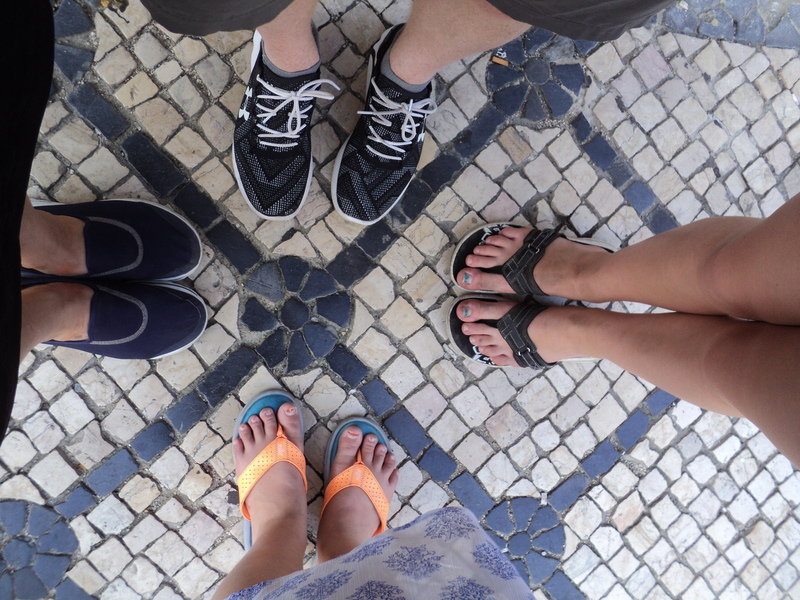 The girls had hoped to see a bit of sand and beach in Belem, but it was not to be. Some observations of our day. Sundays are way busier then Saturdays, most small restaurants only accept cash or debit cards. If you are travelling from Canada that means cash. So use your credit card when ever possible, as you will need your cash. Always have a .50 and a 1 euro coin for the toilet. The public transit system works very well is clean and safe and efficient So far we find Portugal very very affordable. The fruit and veg are wonderful and not GMO. Strawberries taste the way you remember as a child and watermelon has seeds. Buying groceries at the local market seems like it is 1975. I went to get juice and milk this morning and got change from a 2 euro coin. The people working in the stores and restaurants are very friendly and speak a bit or a lot of English. Philippa speaks amazing Portuguese, she consults her little book then rattles off what we want. The three of us stand there in awe and smile like we taught her how to do that. We find it best that I stick with English. But I have figured out obrigado/da which is thank you. 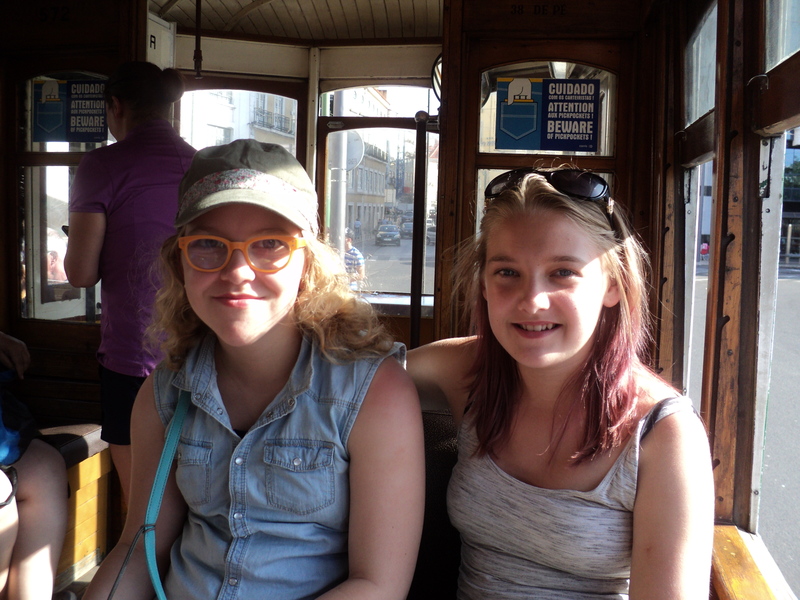 We took the #28 trolley up to the Alfama, we had chose to walk it yesterday and that was not a good idea as it is up hill both ways. 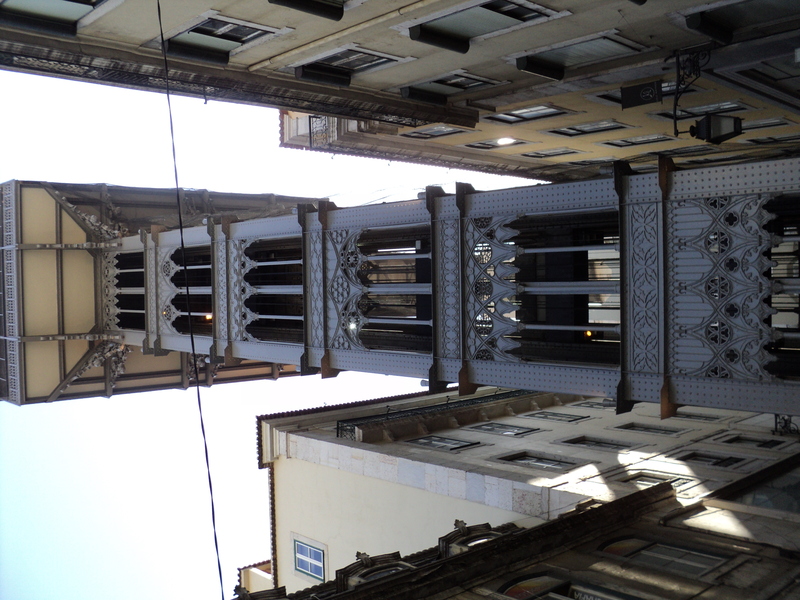 In fact, unless you are at the waterfront you are always going up hill in Lisbon. The trolleys are the original old ones and are beautiful. They go through the narrow winding streets of the Alfama and you can get up close and personal with all the beautiful tiled houses. Hahahaha, I can’t stop laughing at the visual of how lost you guys got the day before yesterday, in the heat, uphill both ways. How did Philippa pick up Portugese so fast?! And I’m sure she’s doing the accent perfectly, meanwhile I’ve completely lost that talent and pronounce foreign words like I’m from Kentucky…. Your writing is so, so good. I’m glad to hear that bringing a friend was still a good idea. Trenten is looking at the pictures and now thinks he should be able to go that it looks too cool. That’s amazing. Glad you are all having fun on your adventures. I sure like the pictures and descriptions. Makes me smile while I am reading. Thanks. Cheers. Good luck on your next adventure.